Multitargeting. By targeting the .NET Framework Portable Class Library, developers can create assemblies that work on multiple .NET Framework platforms, such as Windows 7, Windows 8, Windows Phone, and Xbox 360. This wrapper utilizes 3.7GB of disk space and is only compatible on Mac OSX 10.8 and above. 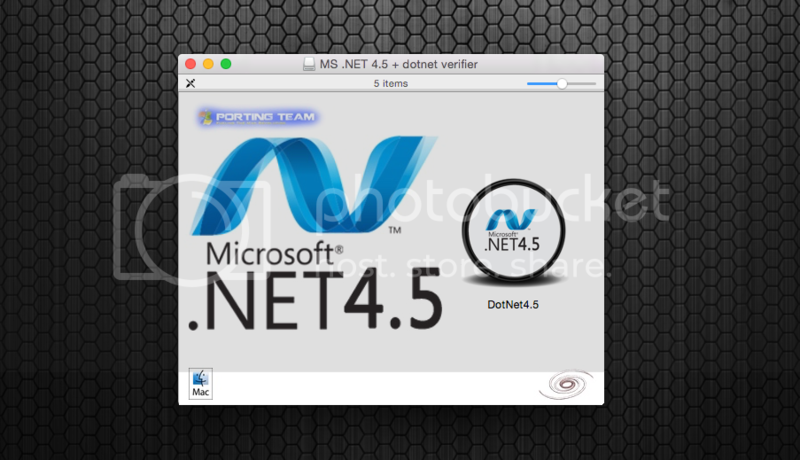 Wineskin wrapper utilizing WS9-64bitWineStaging2.2 with .Net 2.0 through to .Net4.6.2 plus the .Net verification tool. This wrapper should work with applications that require .Net 4.6.2 and lower. The full framework is not entirely implemented into Wineâ€™s structure so expect some things to not work correctly. Visual C++ 2005 to 2015, both x86 and x64 versions have been installed. Ahh thank you DankoB.Works like a charm. I have a game that uses dotnet 4.5 in its installer, and i can't get it work, using you wrapper... maybe this version of dotnet doesn't work in wineskin?